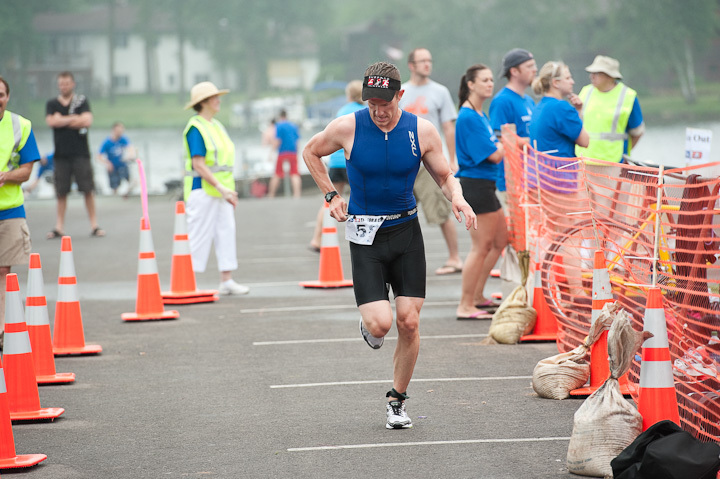 This past Saturday, Matt competed in his second triathlon of the season. 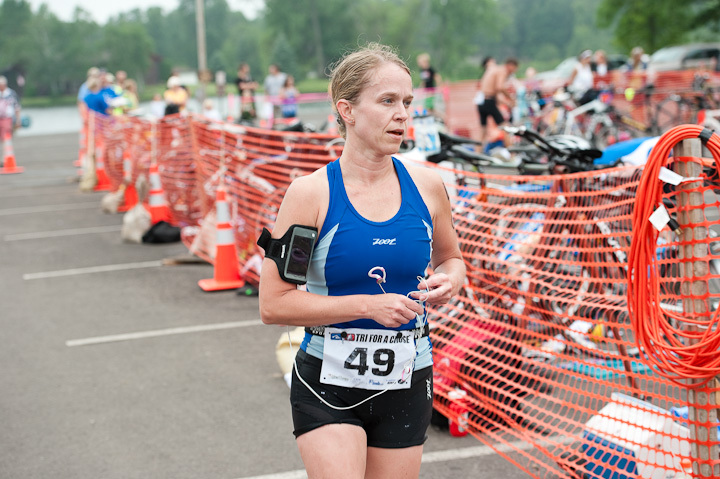 It was the first year for the Tri for a Cause race in Crosby, MN. 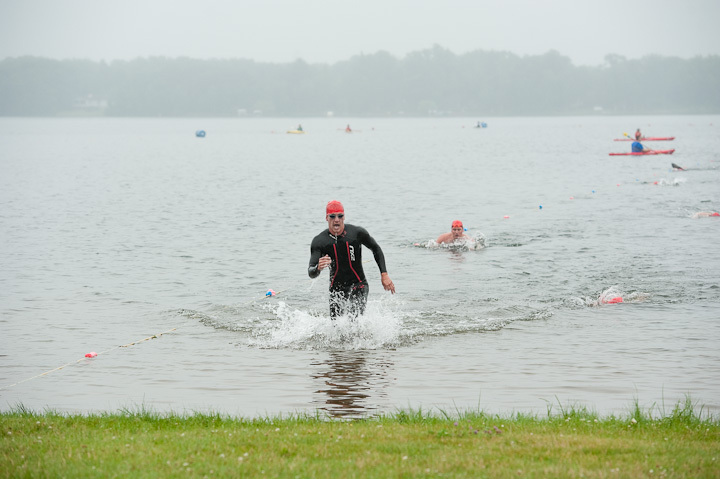 Accompanied by his aunt and his mom, as well as a bunch of other triathletes from his local training group, they competed in the triathlon on a misty, sticky July morning. 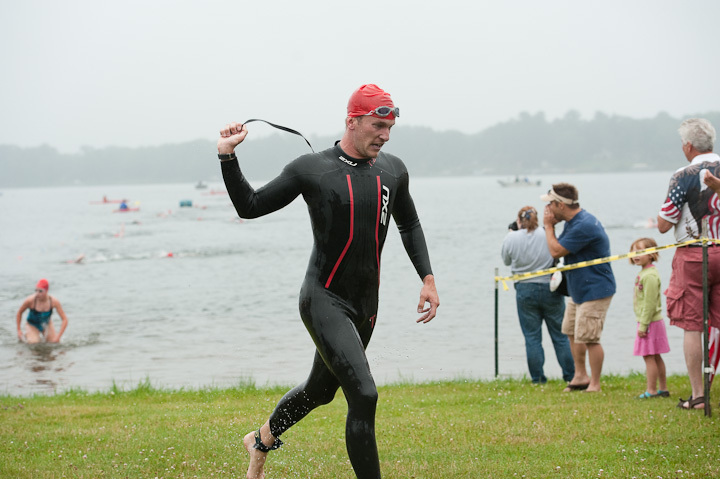 Matt was the second person out of the water on the swim - aka, he was the second fastest swimmer competing! 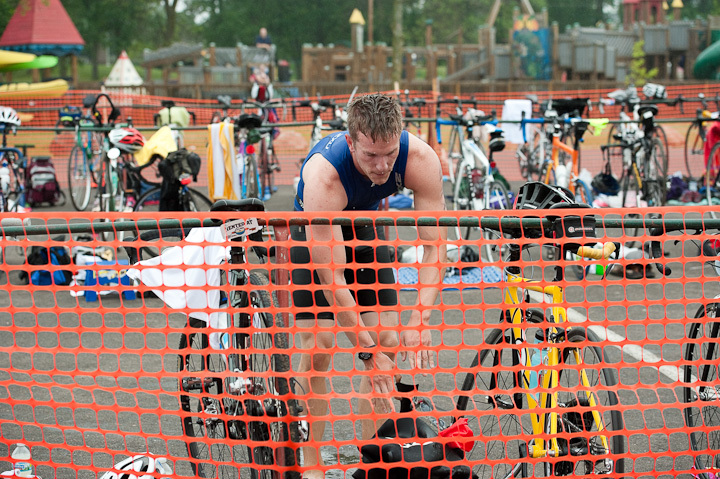 He swam the 1/3 mile swim course in 9 minutes, 14 seconds and was 2nd out of 69 individual racers. 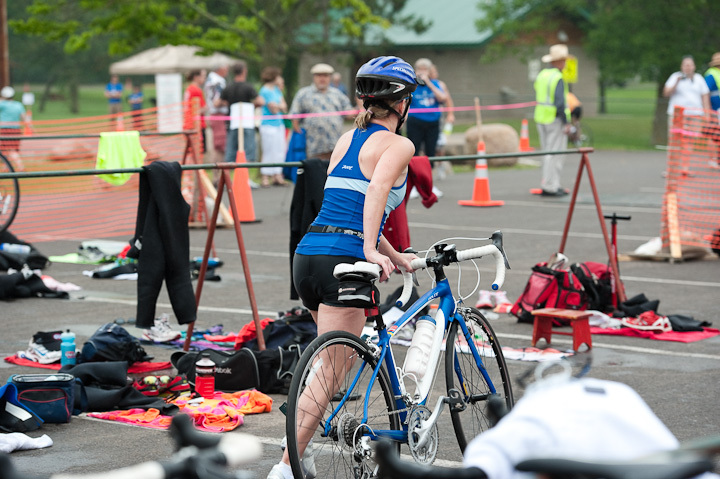 Off to the 16 mile bike course. Matt's mom Sheila, coming out of the water. 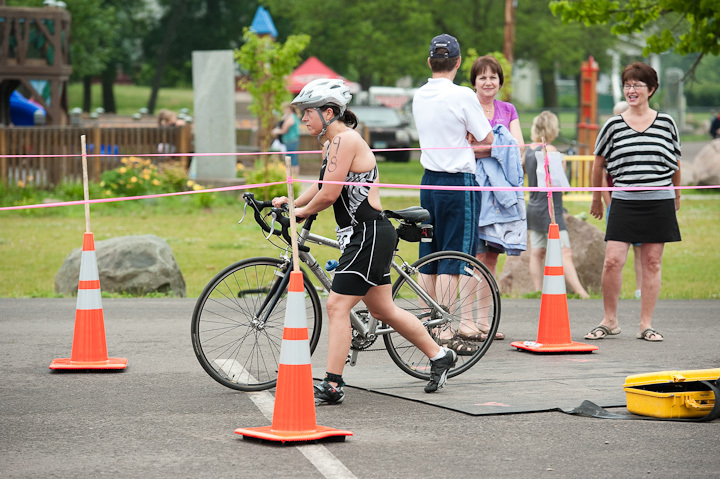 The photo below is his aunt Melissa, heading out on the bike portion. 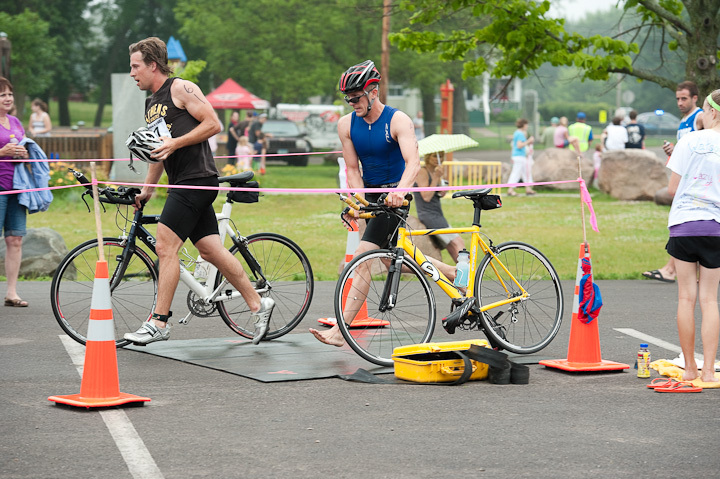 Matt coming in off the bike. 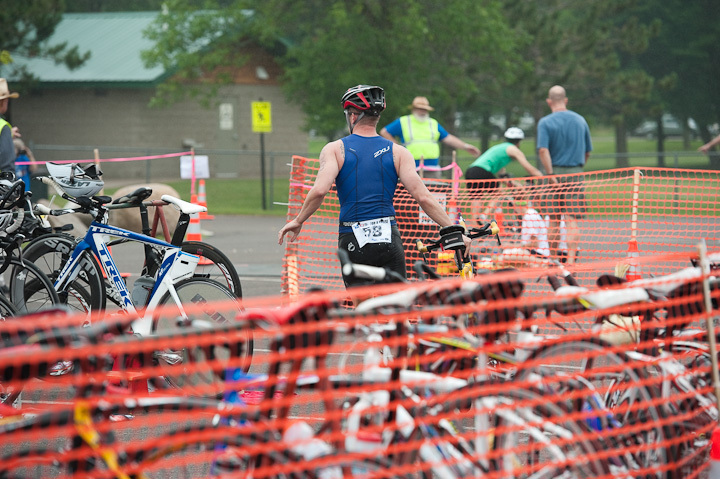 His 16 mile bike was done in 45:01, and 10th out of 69 racers. 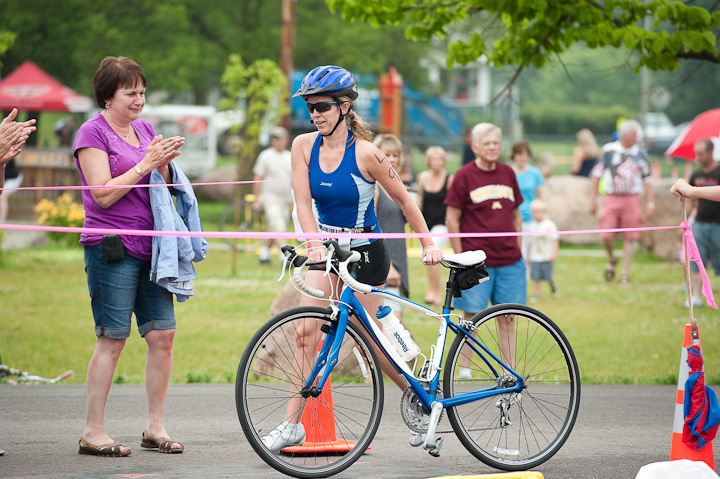 Sheila happy to be off the bike, smiling! 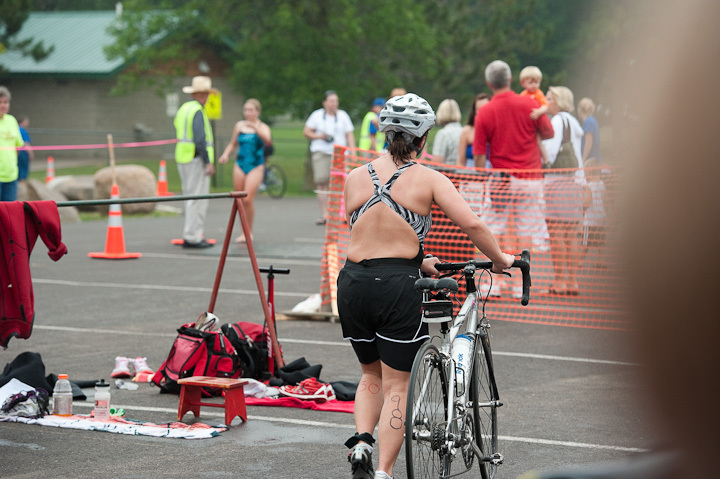 This was Mel's first ever triathlon. 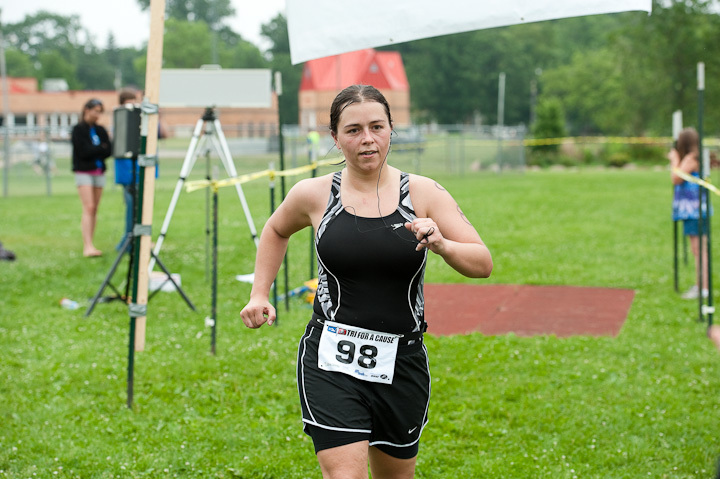 She did so awesome, although she may have been thinking "What was I thinking, signing up for this!" Total time: 1 hour 26 minutes and 20 seconds. 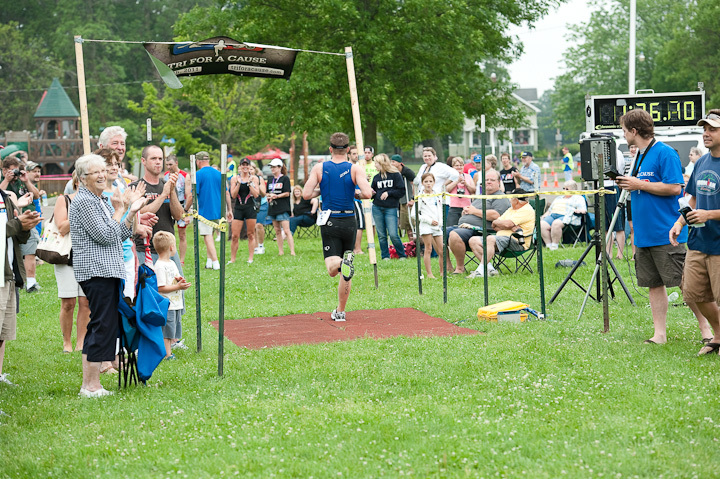 He was the 8th fastest finisher overall and 2nd in his age group! 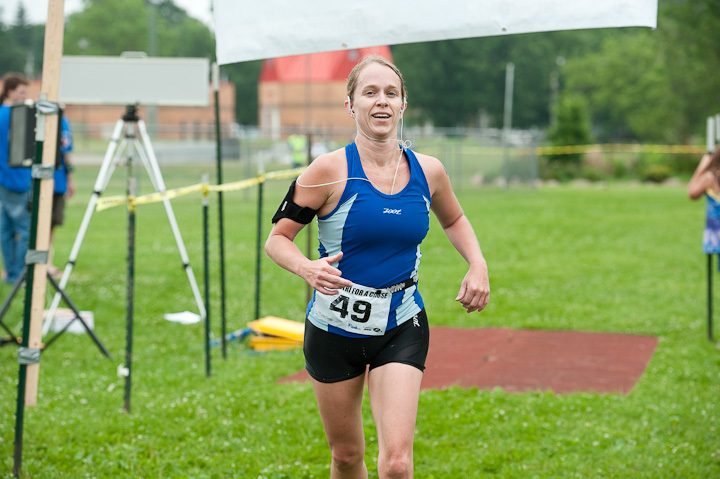 Sheila, all smiles as she crosses the finish line! Mel, thinking she's glad she did it. Maybe another one is in her future?? 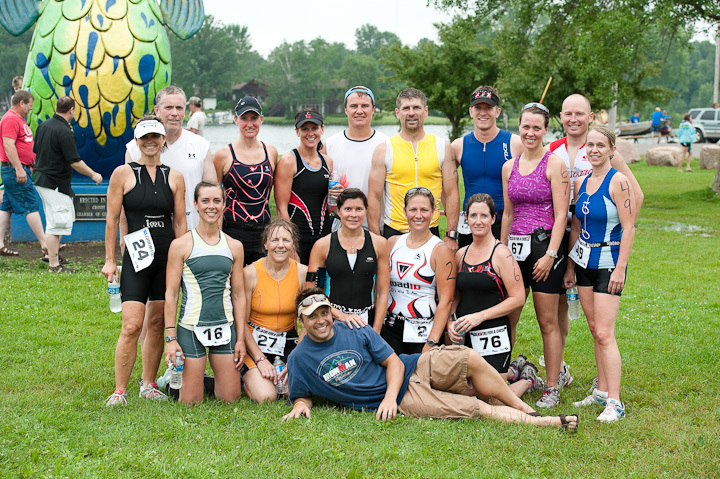 A group photo of the Brainerd Multisport and Running Group - the group Matt trains with 2+ days a week. 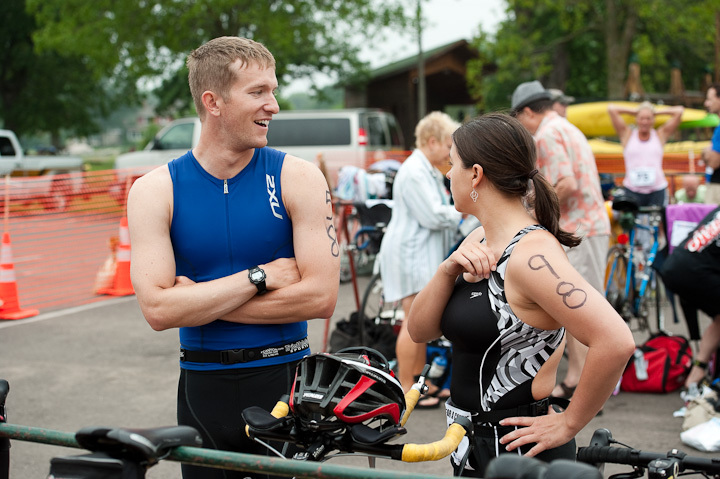 Matt was happy with his results, but of course, it fuels the fire to do better and improve for next time. 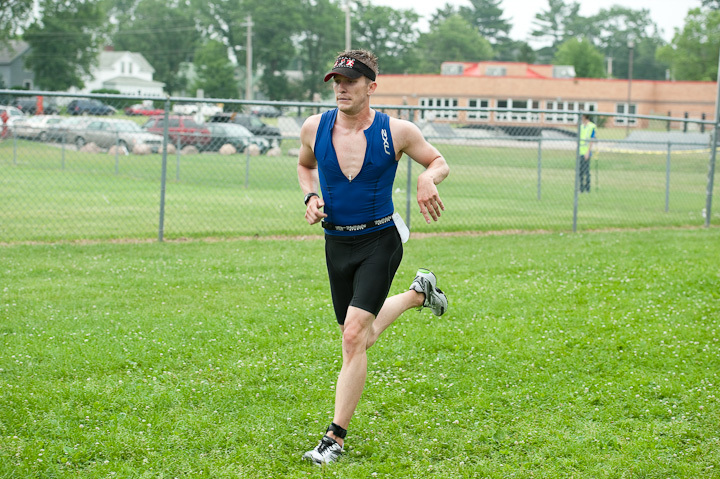 He has one more sprint [short distance] triathlon this summer, and then he's doing his first Half-Ironman distance race in September. That will be a whole different ballgame than what he's been doing and training for now, so that will be interesting and fun to watch how it goes. 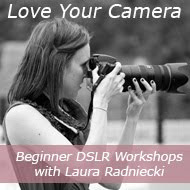 I'll be there cheering and photographing it, like always! Yay Matt!! Man, I get tired just looking at the pics! :) You must be so proud! !